"His imposing installations shown in museums and public spaces often consist of trees, flowers and other organic materials. 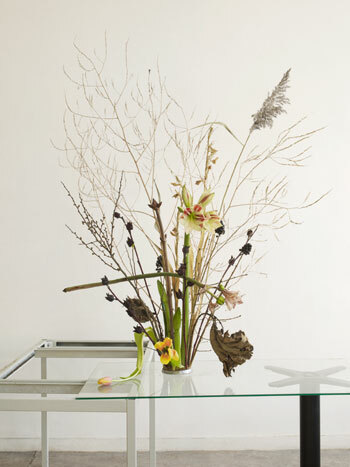 For this exuberant bouquet, Bruggeman combined dry, wintery materials such as chestnut branches with newly flowering amaryllis and tulips. 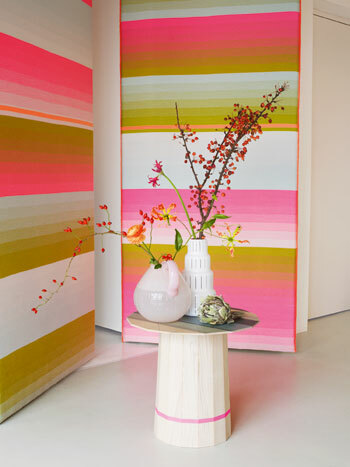 “It gives one a sense of the season,” says the artist. 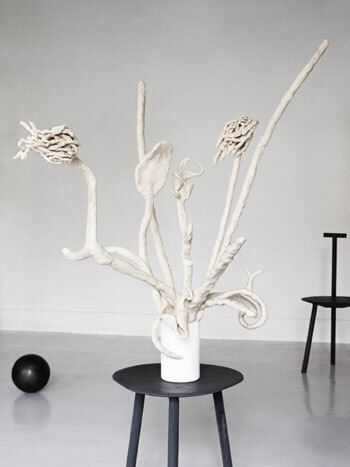 “Bouquets are living rather than static things, and thus temporary.” Instead of choosing a traditional vase, Bruggeman has made use of a kenzan or ‘spiky frog’, a flower holder from the ikebana practice. A true flora fanatic, Bruggeman is a founding editor of Club Donny, a journal on the personal experience of nature in the urban environment." 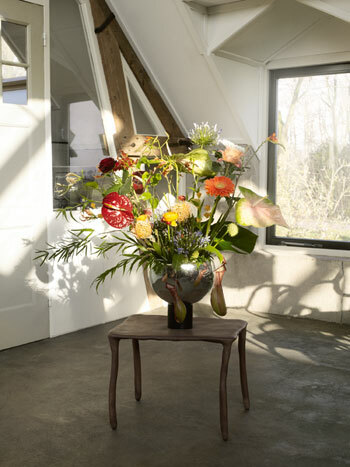 Having a mother as a florist, I find myself becoming more and more interested in the construction and the concept of a floral arrangement, as so much of the deliberation over flower, colour and composition choices bear such a similarity to the creative processes when creating any other type of art. These pieces, in their expression of a concept with their sculptural appearance, prove that the artistry of arranging is far from a past time only the village elderly upkeep but a very contemporary creative practice that I believe is only beginning to permeate the art world.